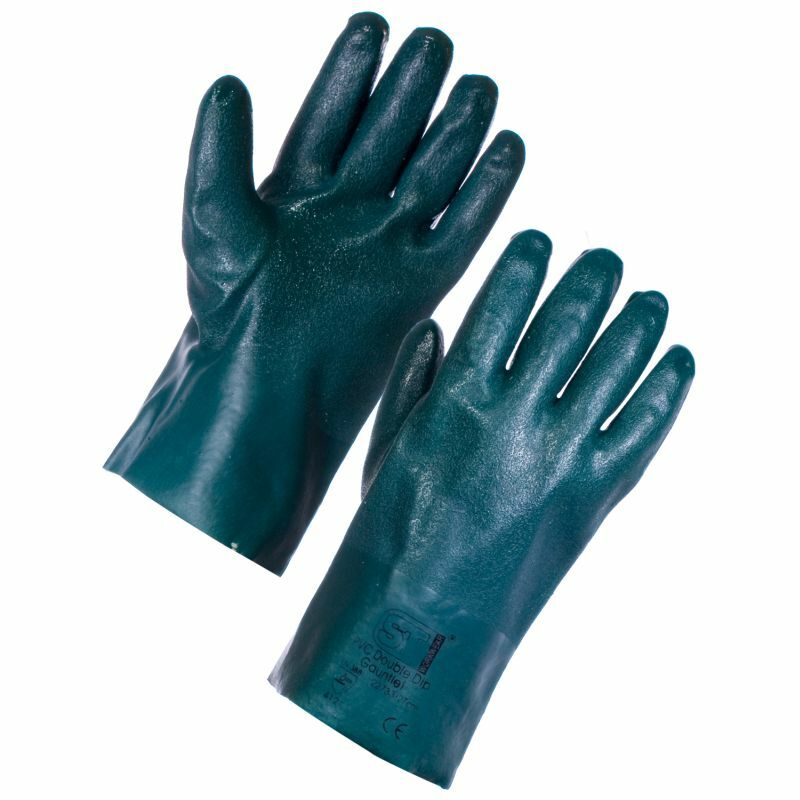 With their textured finish for great wet and dry grip, high abrasion and chemical resistance, the Supertouch 22733 PVC Double Dip Gauntlets - 27cm are ideal for a range of industrial tasks. They feature a complex Category III design, which means that they are designed to protect even against the highest levels of risk. The 22733 PVC Double Dip Gauntlets are designated Category III gloves, which makes them suitable for irreversible or mortal tasks. Gloves in this category are designed to protect against the highest levels of risk, such as highly corrosive acids. The Supertouch 22733 PVC Double Dip Gauntlets are available in a universal design that should fit most adults.